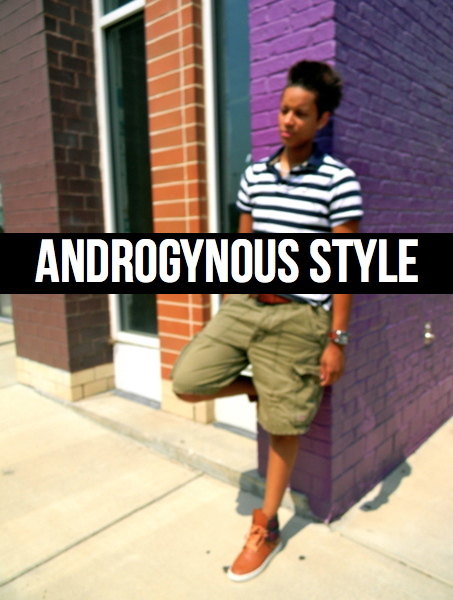 Androgynous Style: Oh, you're still matching? I used to match to the T, from my shirt to my underwear and socks! I've learned that it's okay not to match. Certain colors you would never put together actually compliment each other. Color block, mix and match prints and colors. Especially if you feel like you have nothing to wear. Think of all the looks you could create by mixing and matching what's already in your closet. Take a chance, take a risk, and update your look with what you already have. Today was a chill day for me, but I still take pride in dressing myself. I decided that navy stripes + army green + cognac accessories would be a clean and simple look, yet stylish.